From government buildings to the health and education sectors, Greenwood has experience delivering key building components. Whether it is a major stadium or a local authority sports centre, such large buildings often require complex air handling and fire protection. Louvres are also frequently part of the architectural treatment, to break up large facades and enable the extract of stale air. Warehouses often provide designers with the challenge of protection against fire, and with the need to maintain ambient conditions through the seasons. 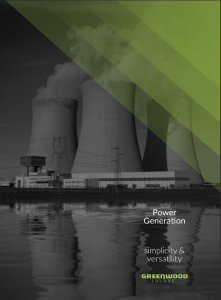 We know how the power generation market works, and through years of experience we know how those designing, building and maintaining power stations and waste-to-energy facilities need their supply partners to operate. Larger residential developments such as blocks of apartments or student housing will need careful design to ensure safe means of escape in a fire situation. Greenwood’s experience covers smoke ventilation for these sorts of building, often designed as part of the principle ventilation system. Office and retail buildings frequently demand large open spaces, which need to be managed to ensure they remain comfortable year round for building occupants. Open spaces also require careful design to ensure they can be adequately vented should a fire break out.